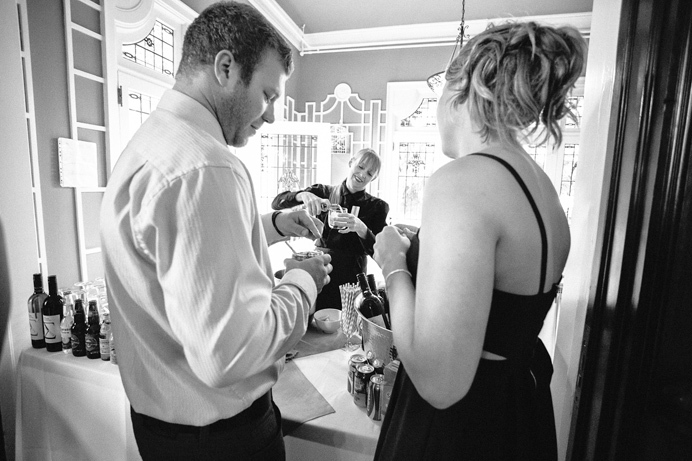 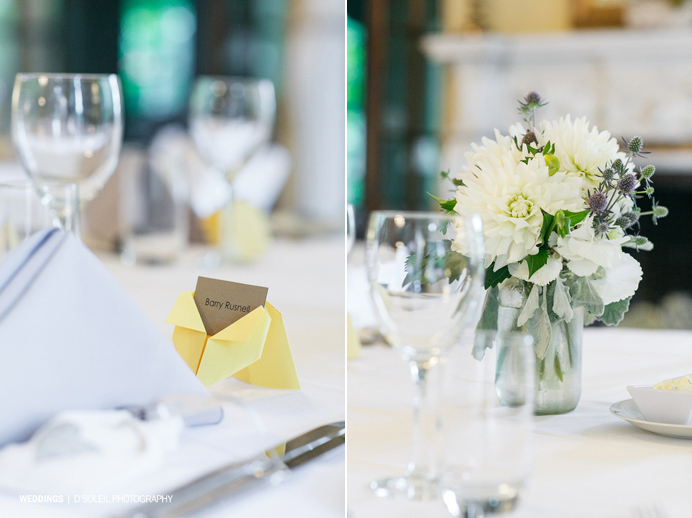 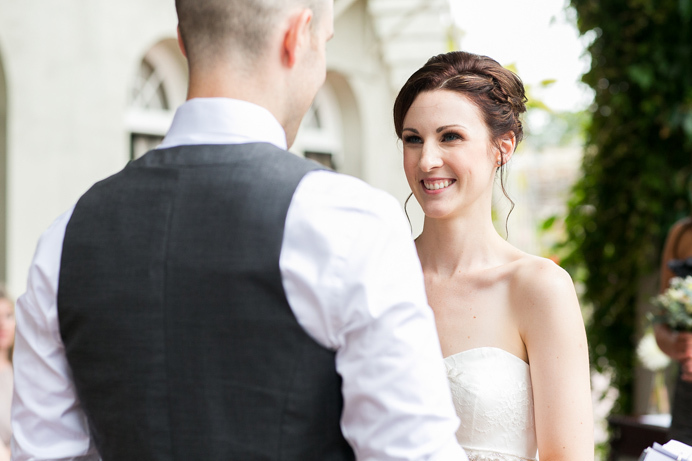 Photographing a photographer’s wedding has to be one of our favourite sort of weddings. 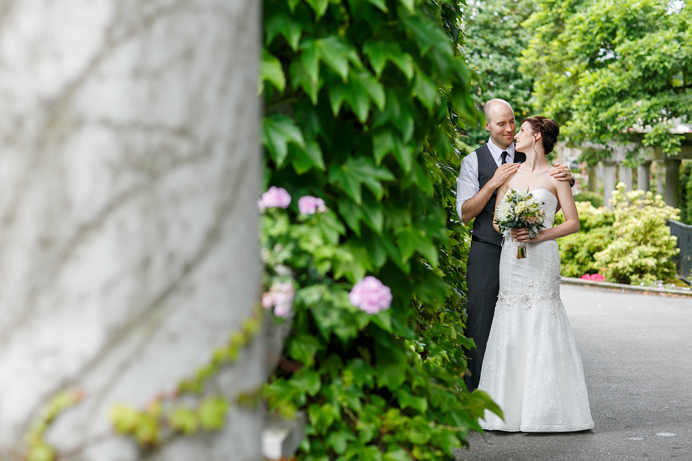 Many of the photographer’s we’ve photographed in the past all had great vision for how their wedding should look and feel, and that’s exactly what we got at Stacey + Brennan’s wedding. 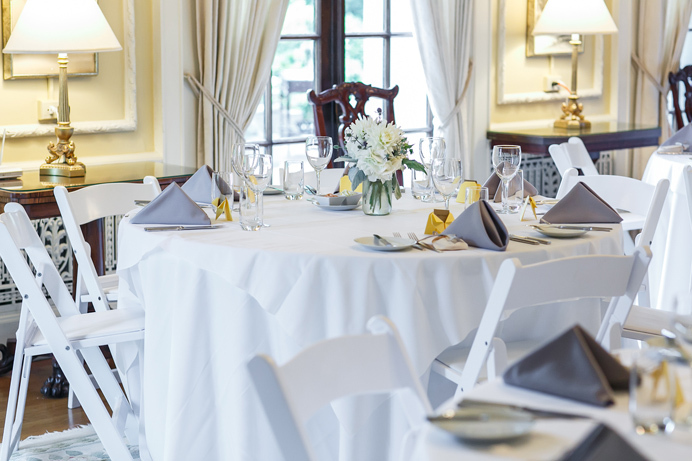 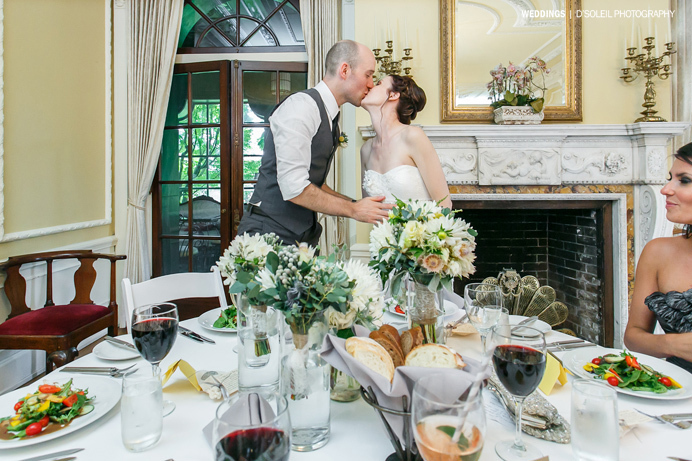 Not only did we love their choice of wedding venue, but also the decor and little touches that went into personalizing their wedding day. 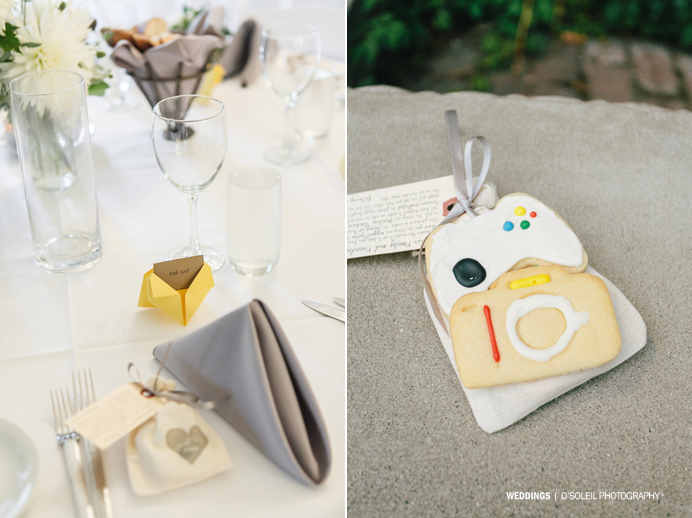 How could we not love Stacey + Brennan’s guests’ favors, which were two cookies, one shaped like a camera for Stacey and the other like a game pad for Brennan, who happens to make video games. 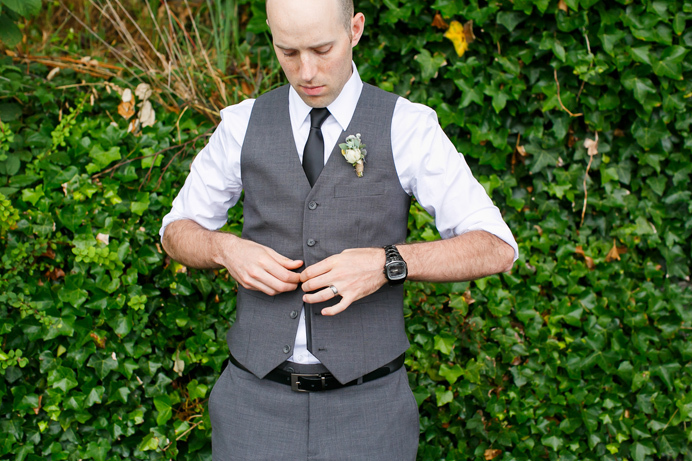 Brennan’s choice of attire for the wedding was also a breath of fresh air. 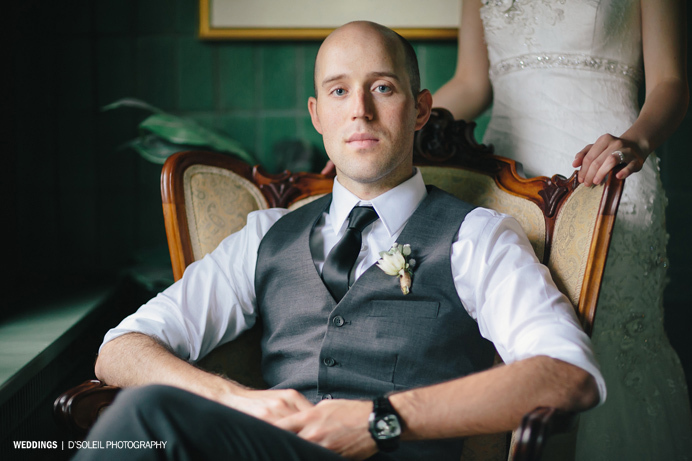 Instead of the usual black suit tuxedo, he went for something a little different, but no doubt chic and timeless. 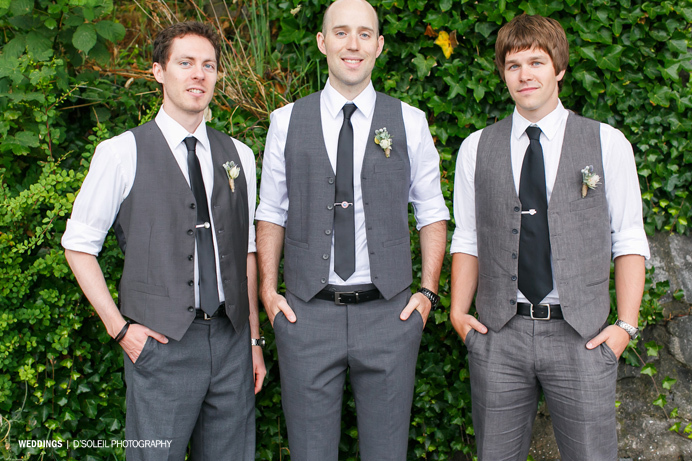 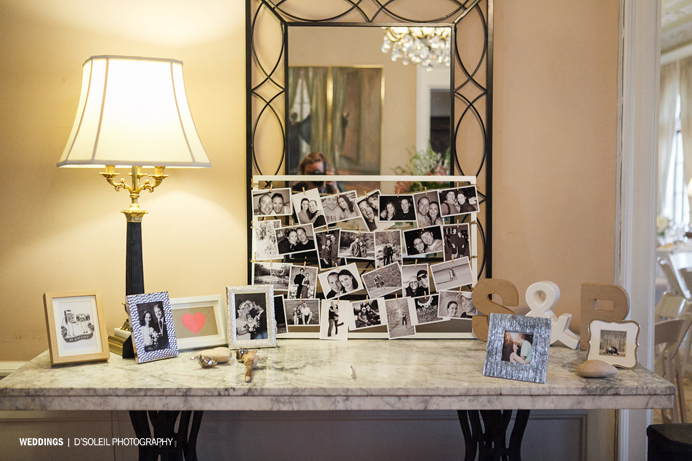 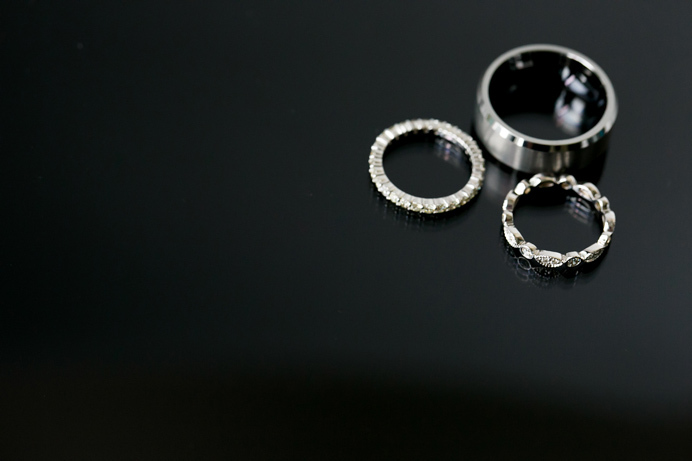 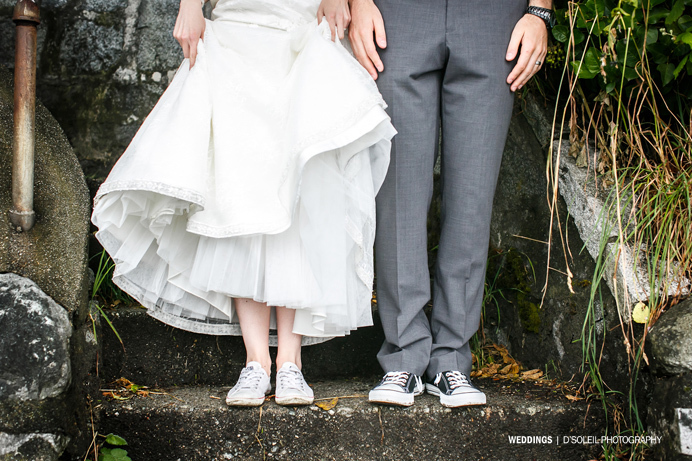 We also love how they incorporated Converse sneakers and comic book tie clips into the mix, and their photo table that showed off a collection of black and white photos of them together over the years as well as old family wedding photos. 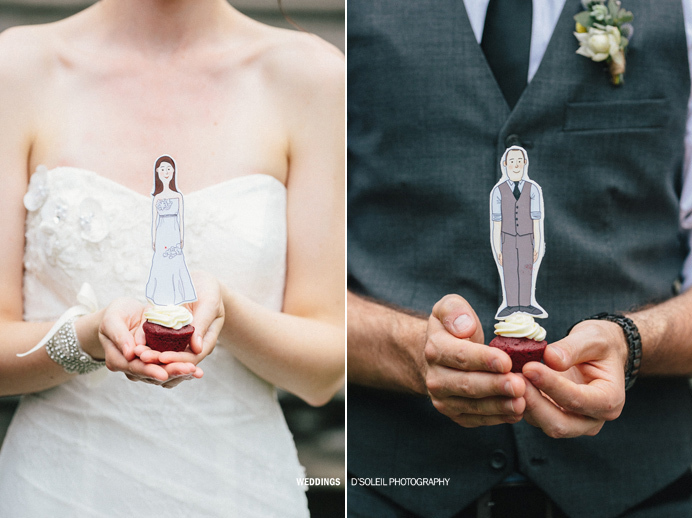 There were other little details as well, such the biodegradable drinking straws, rustic wooden pen for guests to sign their framed photo, and their cartoon cupcake toppers. 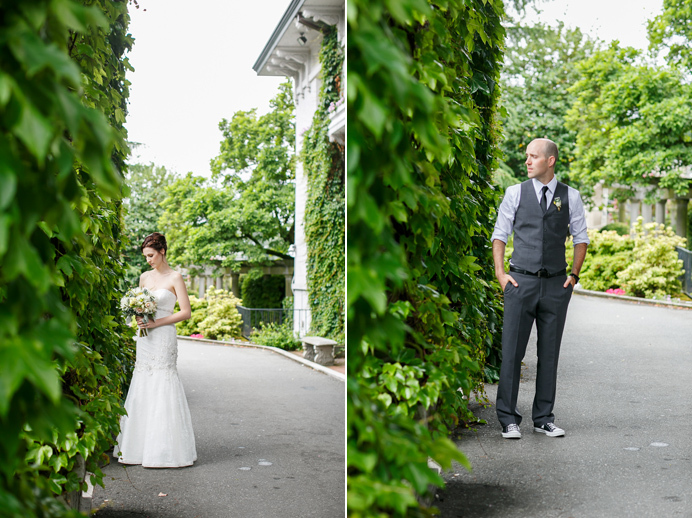 It was an unusual July day. 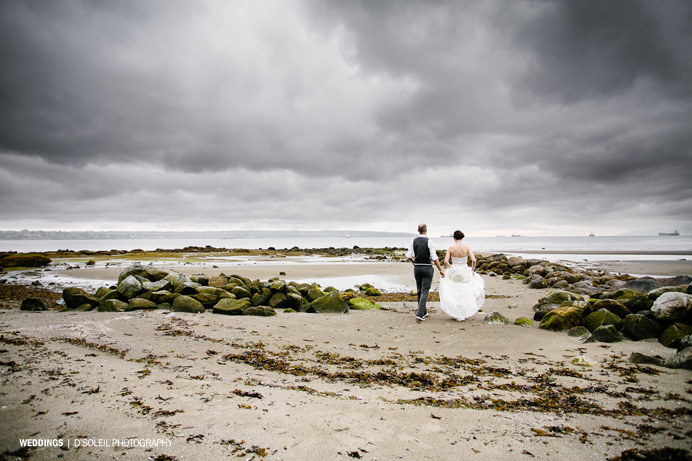 We had little sun in June this year, but didn’t expect the cooler wet weather to follow us into mid July. 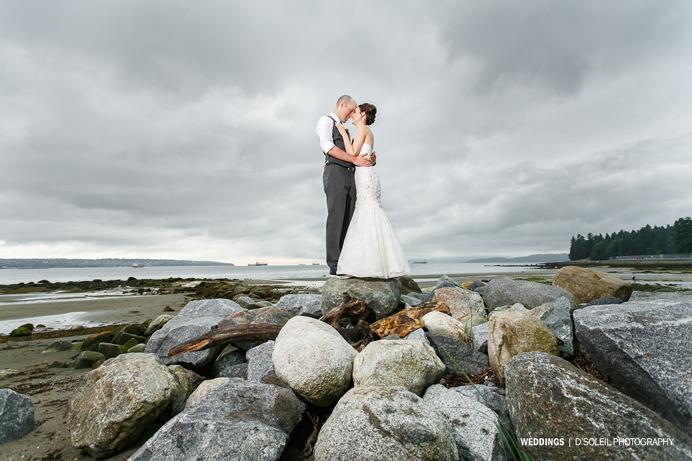 There was a little peek of sun, but otherwise a damp Vancouver day. 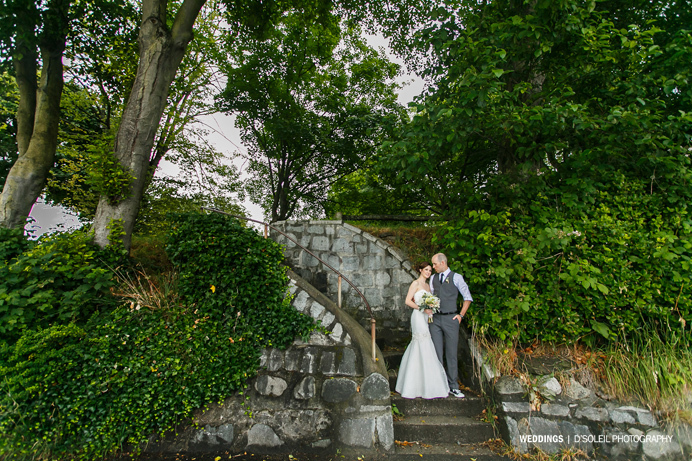 The rain changed our photo plans a little, but we still managed to make photos outdoors. 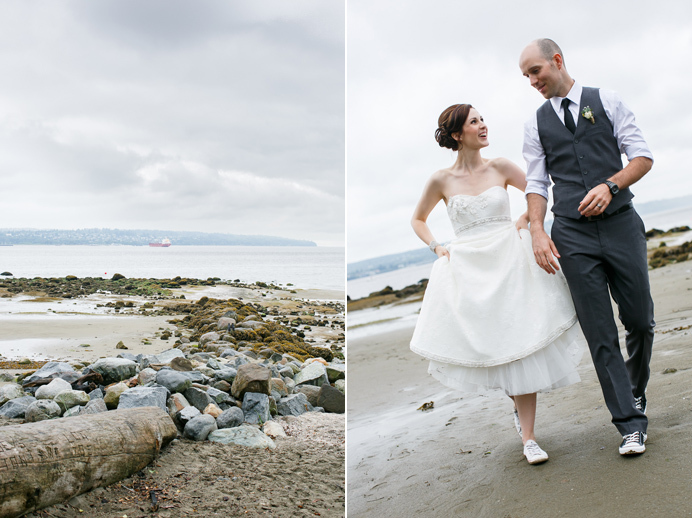 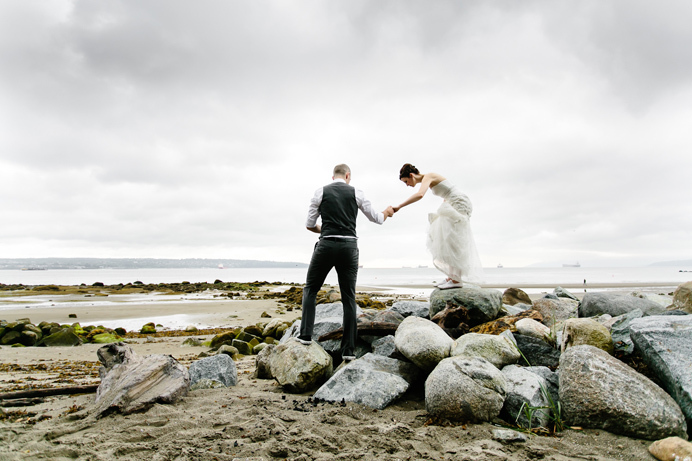 Brennan + Stacey wanted something with a West Coast feel, so we spent some time in Stanley Park with photos on the beach and sea wall. 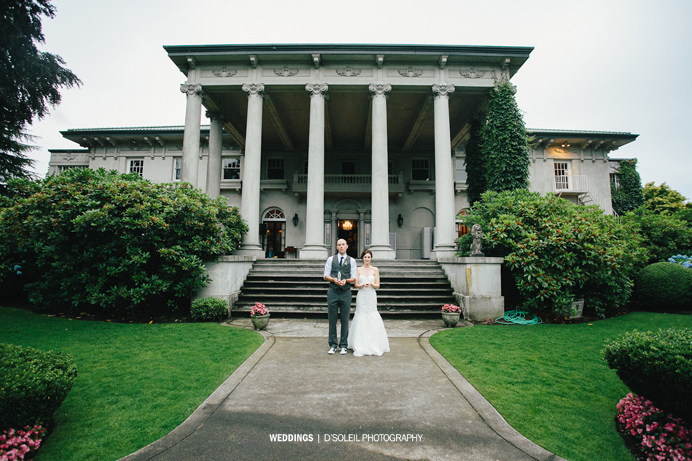 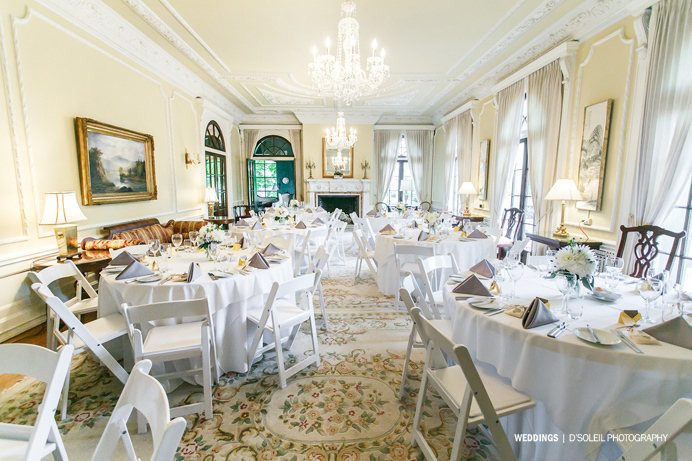 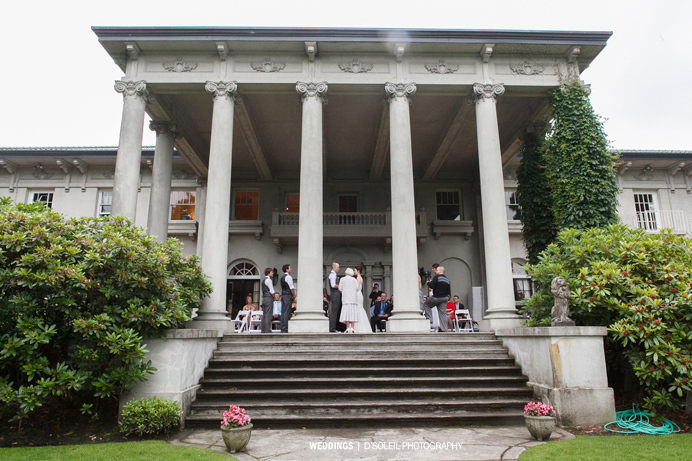 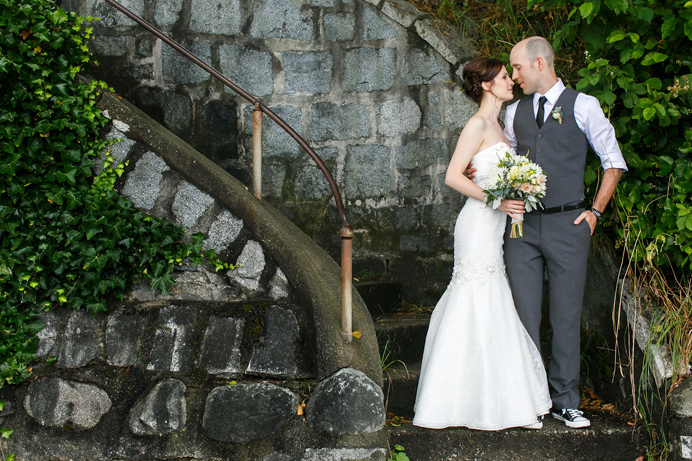 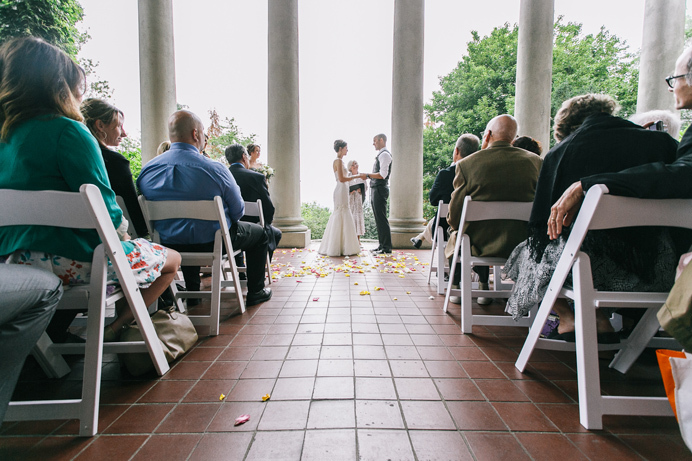 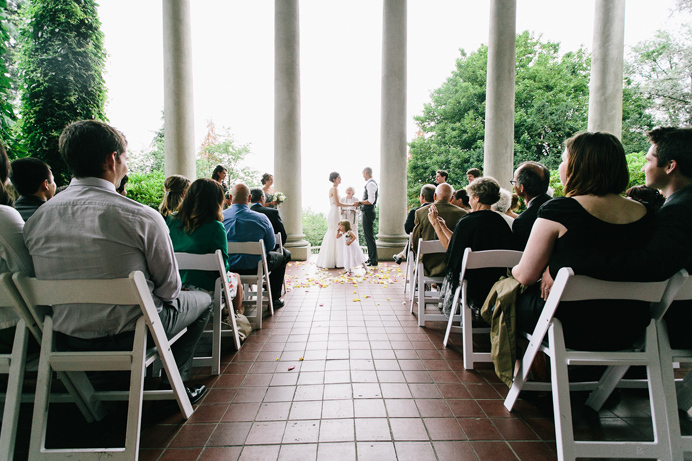 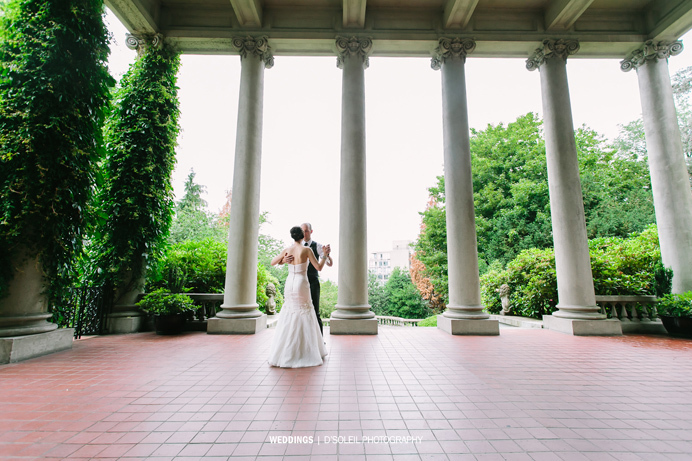 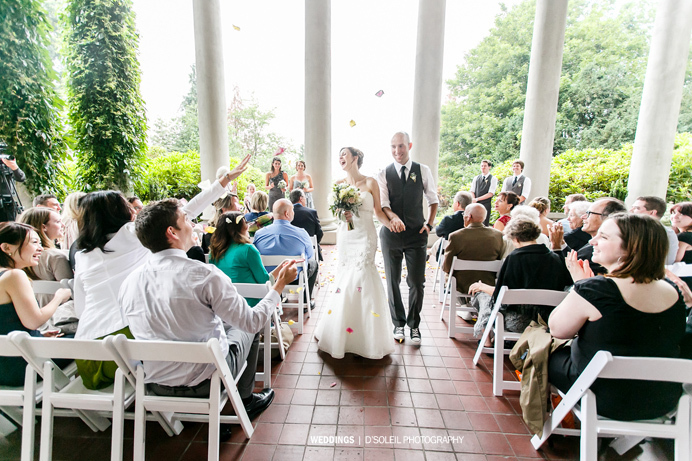 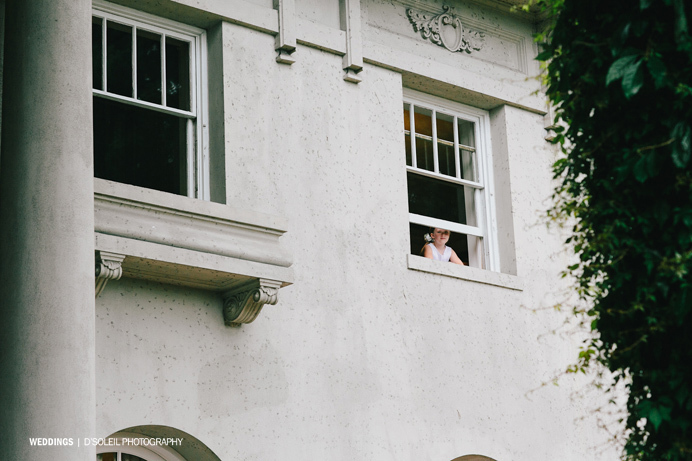 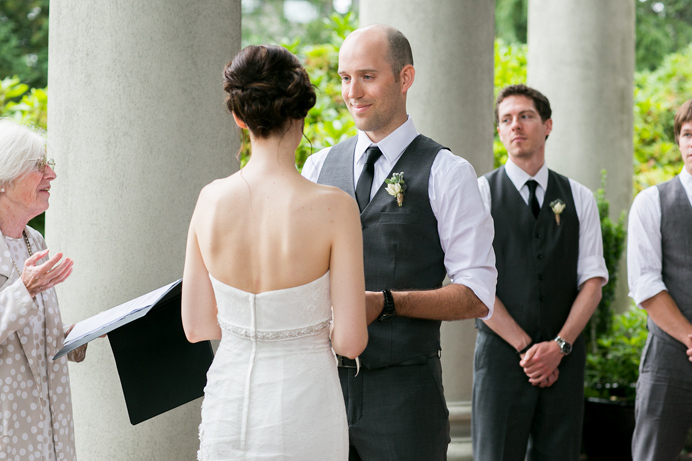 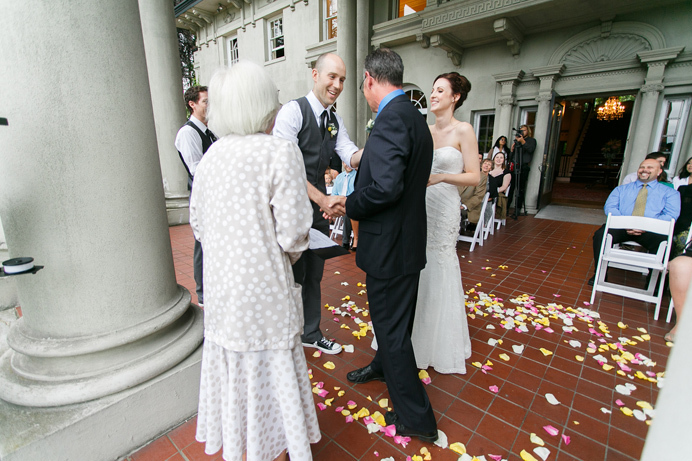 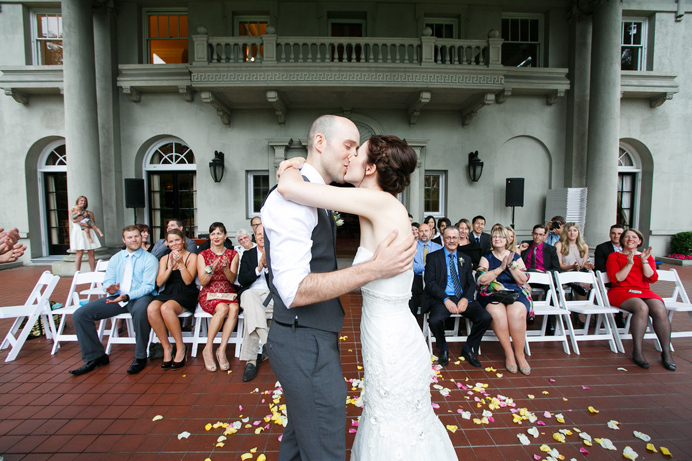 Their wedding ceremony took place on the porch at Hycroft Manor, which offered a wonderful view of Vancouver through it’s neo-classical ionic pillars. 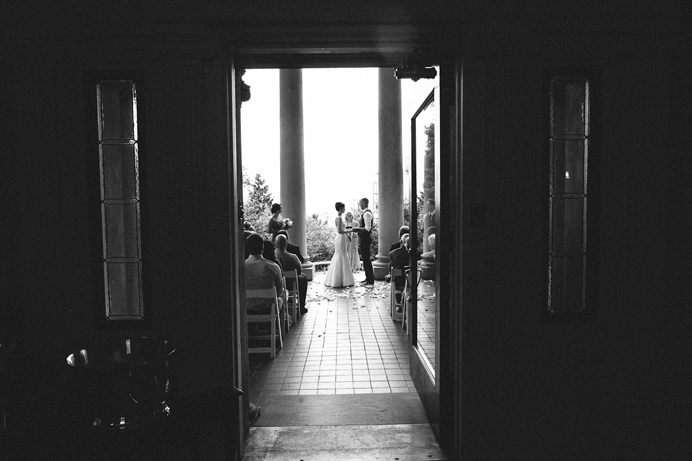 They also held their first dance on the porch, which worked out beautifully. 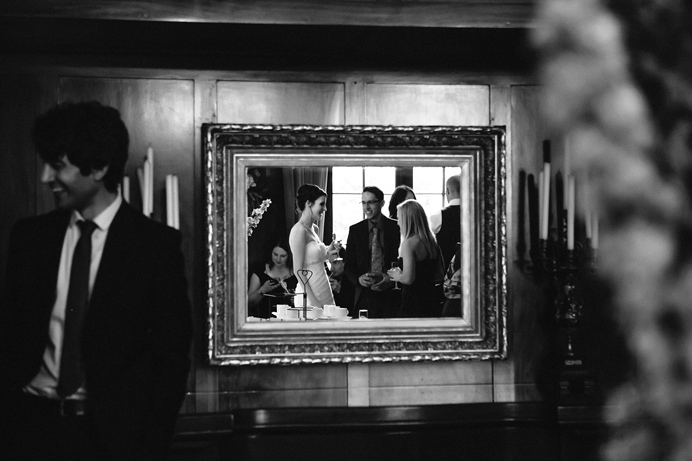 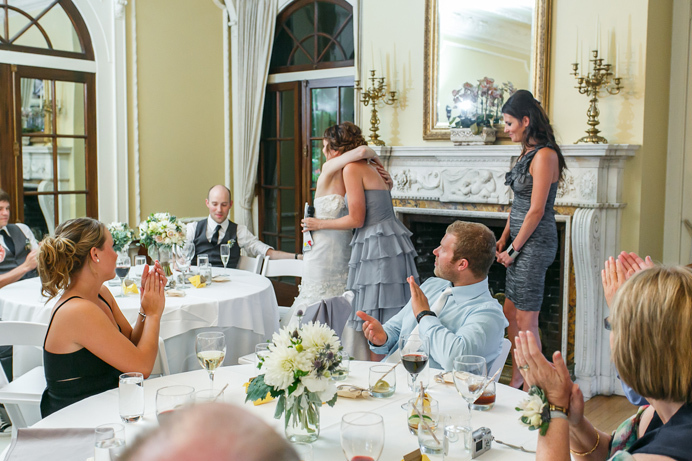 The reception was relaxed and intimate, with speeches by friends and family throughout the evening. 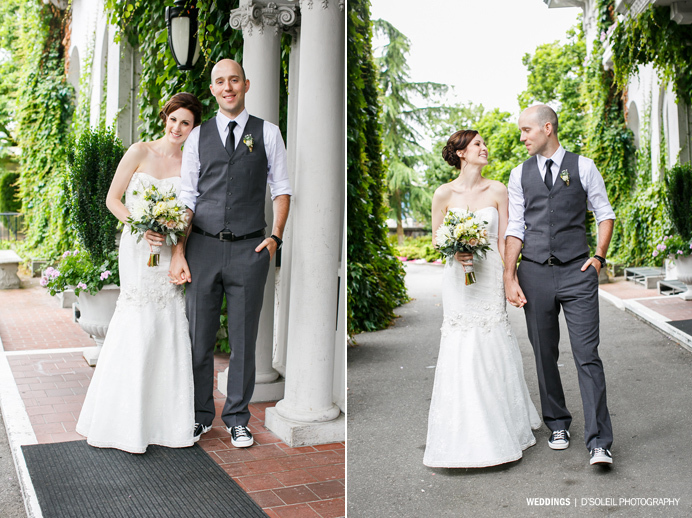 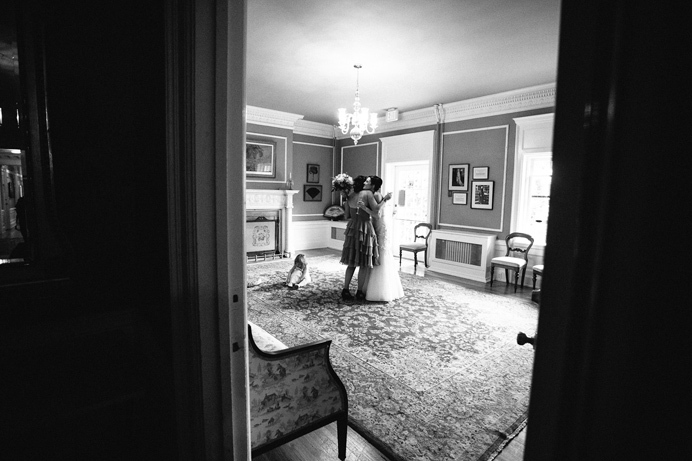 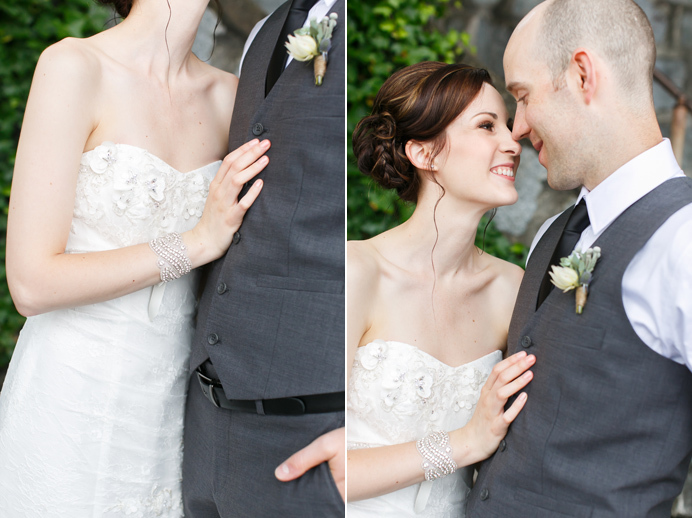 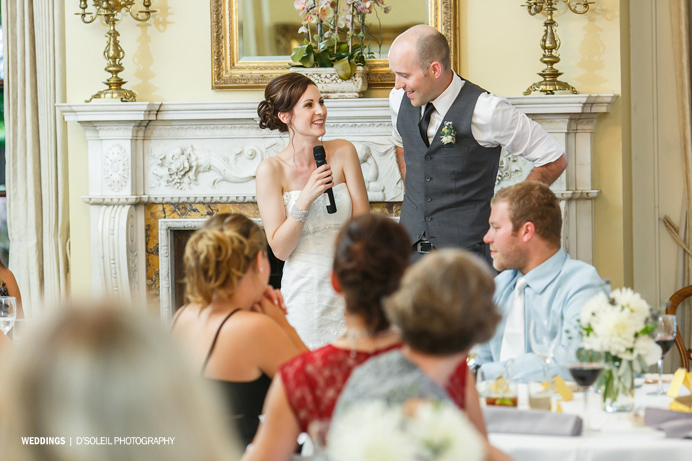 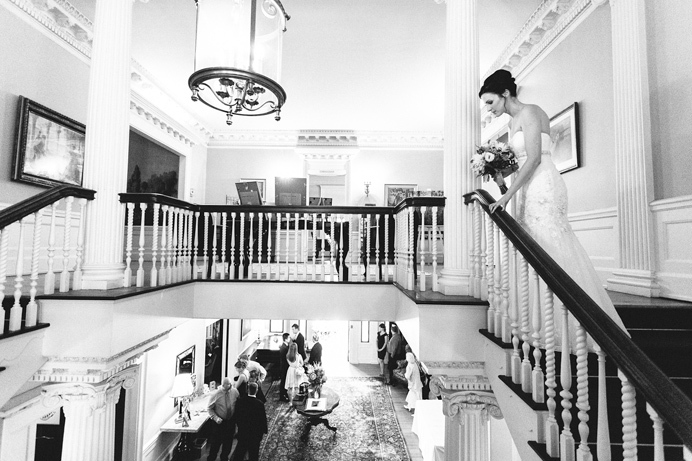 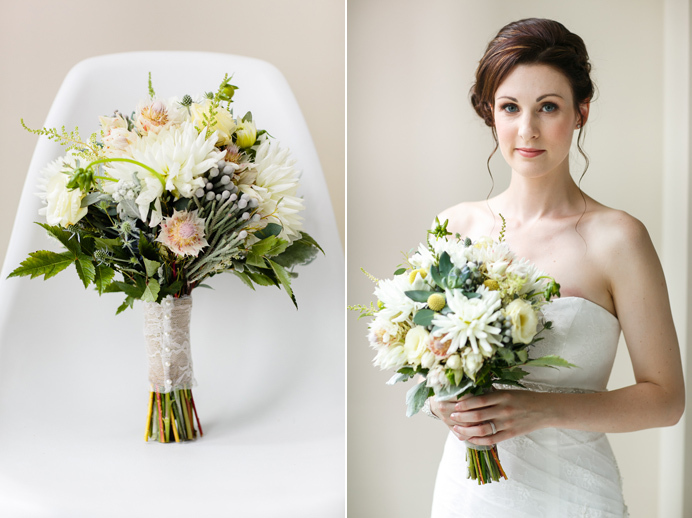 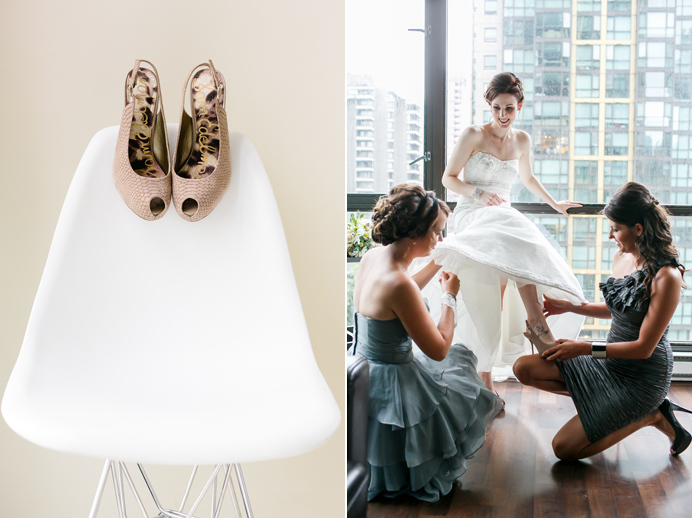 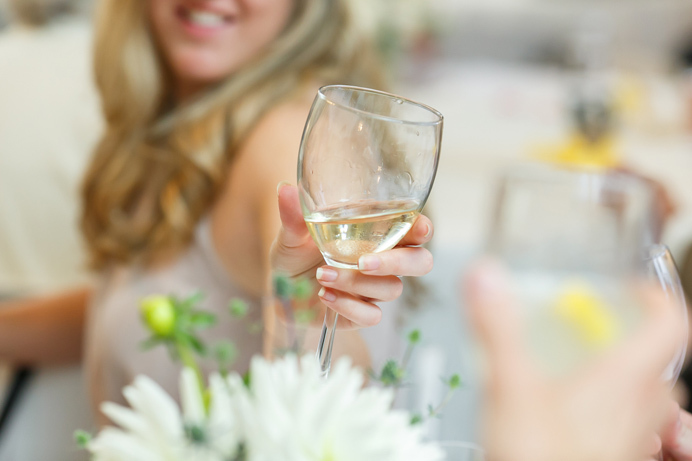 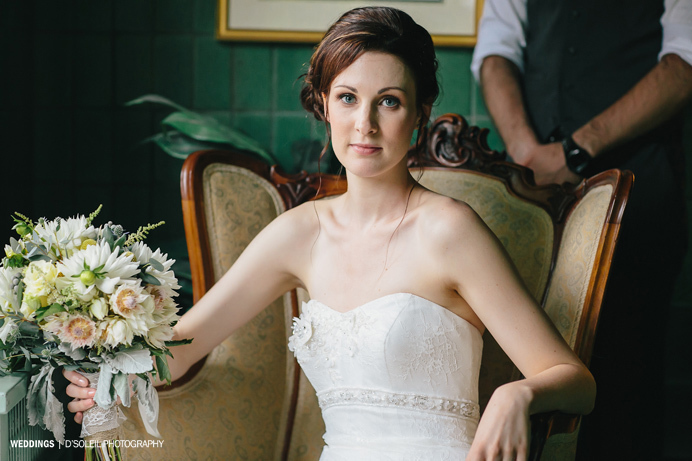 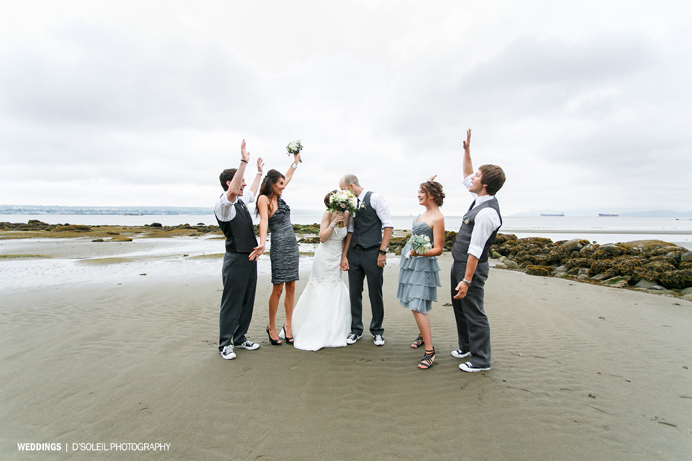 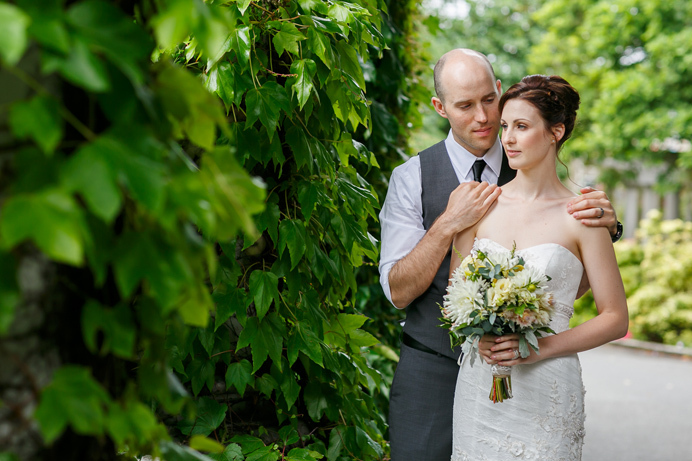 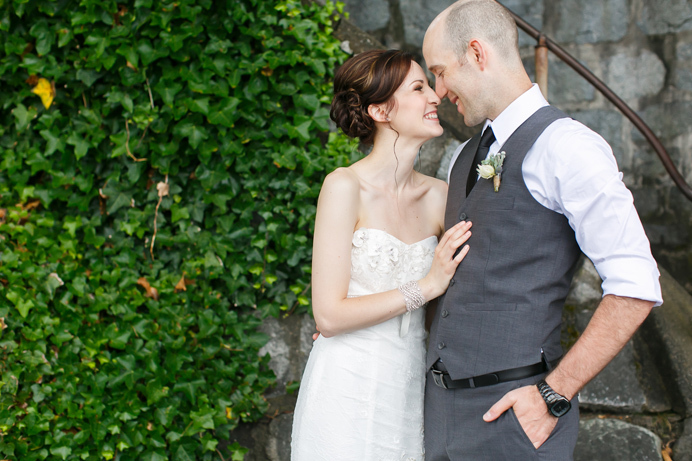 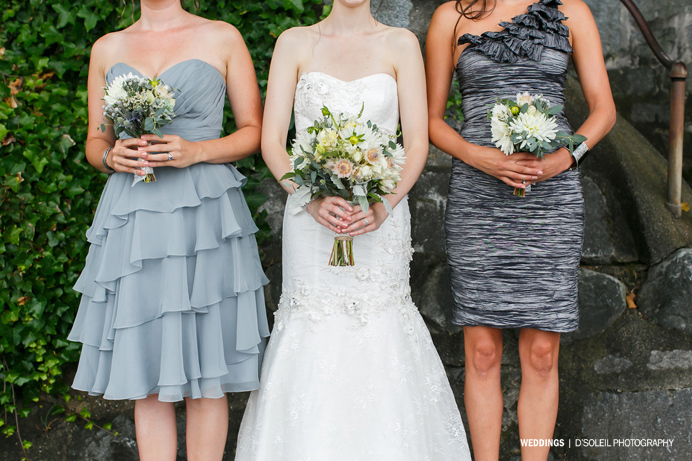 We had such a wonderful time with Stacey + Brennan and their wedding party. 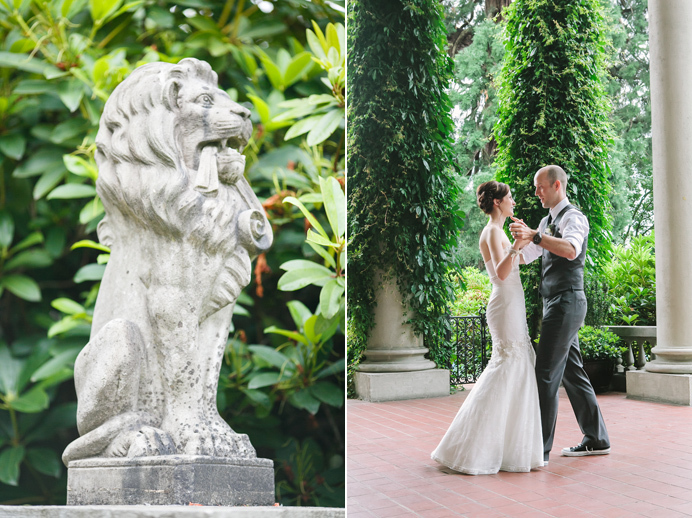 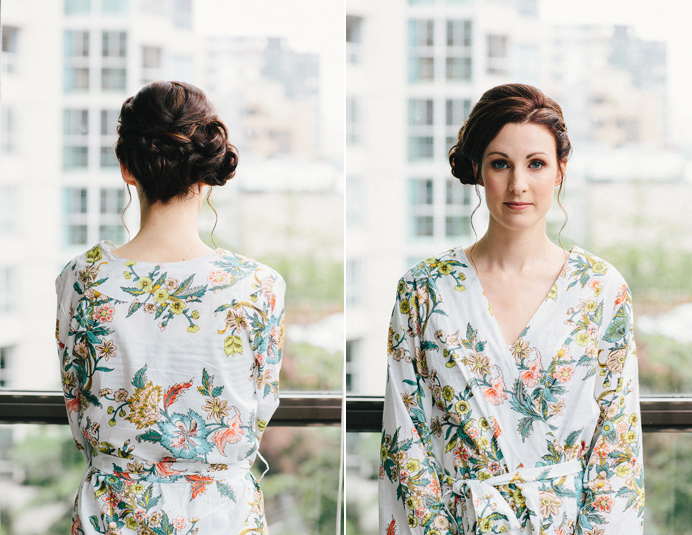 The day felt completely relaxed, without a single stressful moment, and I can’t say enough about what wonderful and trusting people Stacey + Brennan are. 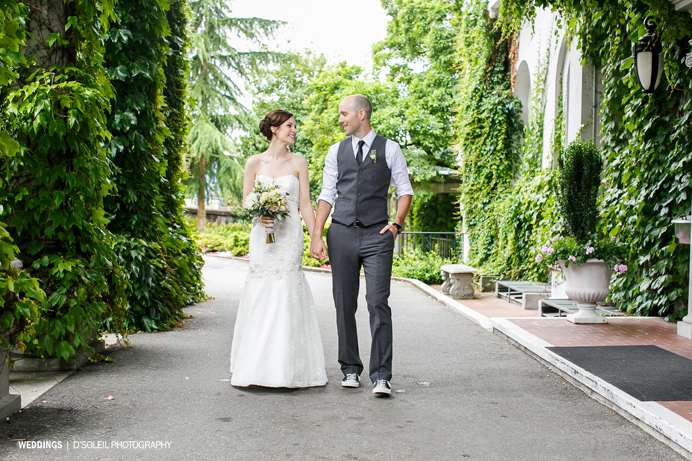 They gave us a wonderful opportunity to capture their wedding day for which we were truly honoured and forever grateful. 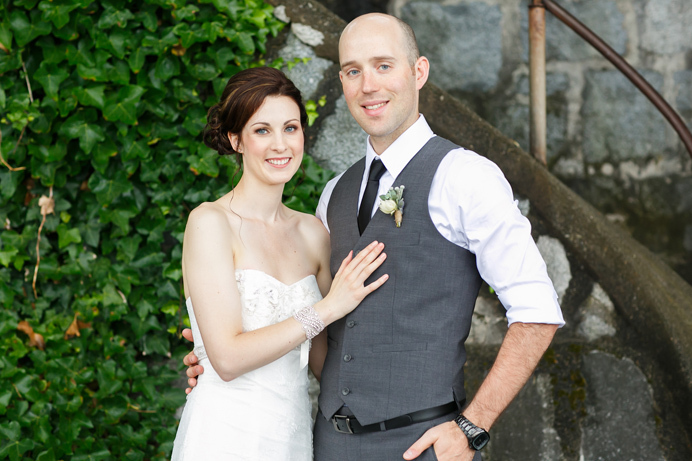 Congratulations Stacey + Brennan! 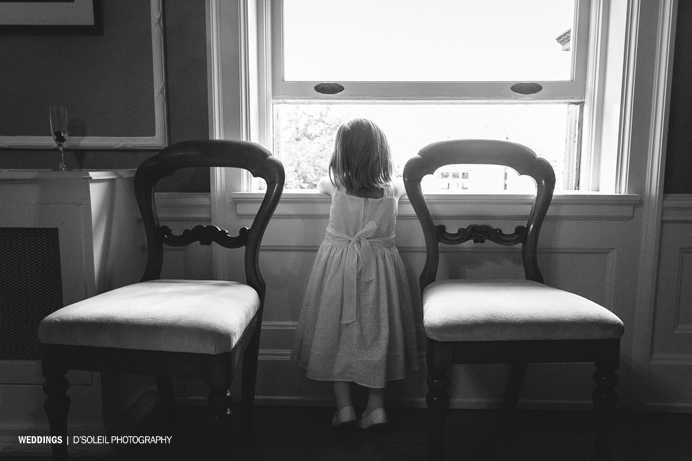 Dsoleil,you done a wonderful job.I love all pictures in this blog.Thanks for sharing this with us.I got many ideas from your blogs.